Westbury Jeep is a drop-off location for any of the items below. 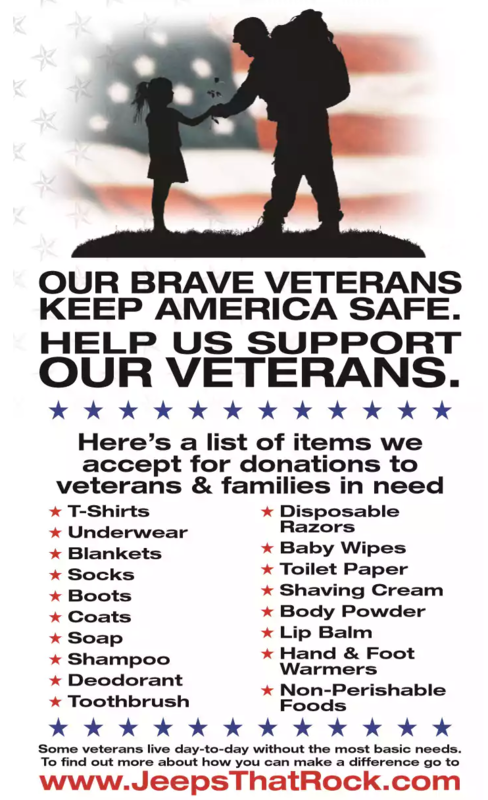 Please help support our veterans by dropping off any of these items at the address below during normal business hours. Thank you! 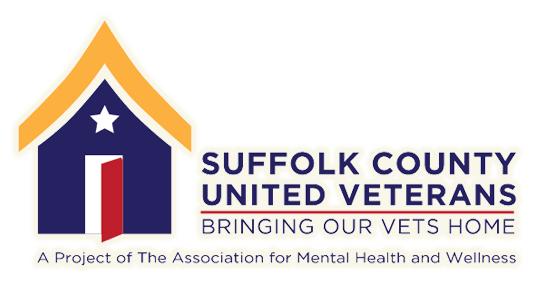 Formed in 2014, the Association for Mental Health and Wellness was created by the marriage of three successful Suffolk County organizations; The Mental Health Association in Suffolk County, Clubhouse of Suffolk, and Suffolk County United Veterans. By coming together as one organization, MHAW can now offer the region comprehensive services and advocacy that focuses on mental health as well as overall health and wellness. The Suffolk County United Veterans project in particular helps support our honored service men/women by reaching out to and engaging with homeless and at-risk veterans of all eras. Click the logo above to find out more about MHAW and their services. Supporting almost 3,000 U.S. Veterans since 1978, Services for the Underserved is one of New York’s largest service providers to the brave men and women who have served and defended our country. Some of the many advantages the organization provides include education resources, employment services, suicide prevention support, homeless outreach, and family support services. This nonprofit organization has a vison of a healthy, productive, and secure community and has made every effort towards obtaining this goal. 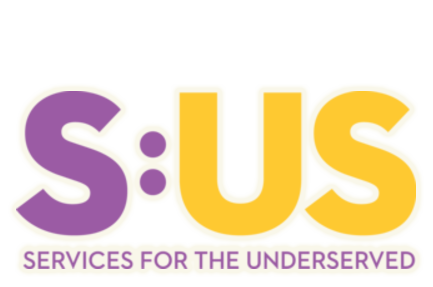 Click the logo above to find out more about S:US and their services. Directed by a group of Honorably Discharged Veterans, Semper4Veterans aims to provide support and assistance to Long Island veterans and their families in any way possible. Since 2009 Semper4 has partnered with a variety of Long Island agencies to provide payment assistance, transportation assistance, employment and referral services, and basic needs such as food and clothing to the servicemen and women in our community. Many people are unaware of the need for support right in our own backyard, and Semper4 does the most they can to supply our Veterans with the amenities most of our community takes for granted. Click the logo above to find out more about S4V and their services.